The Ghazi Attack is India’s first underwater war film and is inspired by true historic events. The movie, set in the backdrop of 1971 Indo-Pak war, has been made simultaneously in Telgu and Hindi. It features an ensemble star cast of Om Puri, Kay Kay Menon, Atul Kulkari, Rana Daggubati, Nassar, Tapsee Pannu and Rahul Singh. It has been directed by first time director Sankalp Reddy and was released in theatres across the globe on 17th Feb 2017. Just one day prior to the war between India and Pakistan in 1971, Indian navy receives information about PNS Ghazi, a Pakistani submarine having infiltrated Indian waters with the aim of hitting INS Vikrant. The Navy Chief (Om Puri) assigns a submarine crew led by Capt Rann Vijay Singh (Kay Kay Menon) the task of finding the truth, on board the Indian submarine S-21. Being aware of the rebellious nature of Capt. Singh, the Navy Chief also sends Arjun ( Rana Daggubati), to keep an eye on him. As the crew tries to uncover the intentions of PNS Ghazi, Devaraj (Atul Kulkarni) is forced to act as a mediator to keep peace and find a way that satisfies both the obduracy of Rann Vijay and the bureaucratic approach preferred by Arjun. What happens when the two under sea vessels come to know about the presence of the other forms the rest of the story! The Ghazi Attack brings to fore a relatively unknown chapter of the 1971 Indo-Pak war. What makes it even more unusual that it highlights the patriotism of soldiers from the Indian Navy, generally the most ignored section of Indian Defense structure in movies. The casting is perfect with the only glitch being in the form of Tapsee Pannu, whose presence in the movie is simply unjustified. Kay Kay Menon is in his top form as Rann Vijay Singh, while Rana Duggabati gives an equally good performance as the guy who prefers to play by rules. Although, the movie does have its loopholes, it surely presents a strong case for the brave hearts who, laid their lives for the sake of the country and were never even recognized for it. 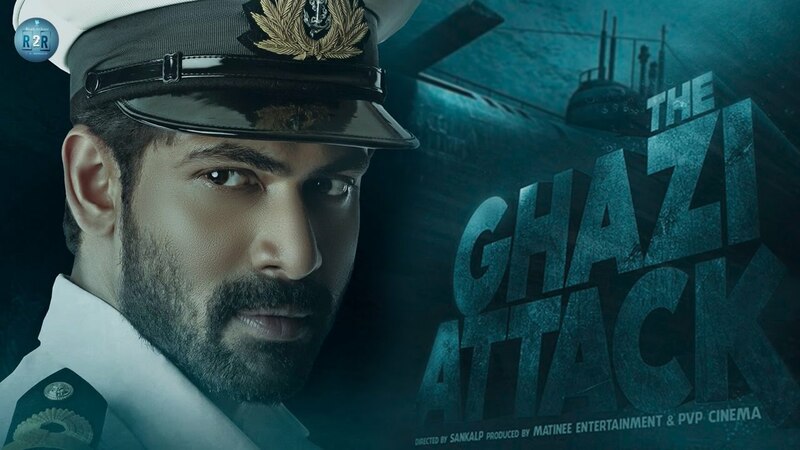 Overall, The Ghazi Attack is surely proves to be a good watch with a great sense of patriotism and IndiaCafe24 gives it a rating of 3.0 stars.